ALBA Berlin has an offense that has produced historic numbers this season, but opportunistic first-time semifinalist MoraBanc Andorra know what it takes to win on the road, while sporting a perfect home record for the season. These two teams have plenty to be excited about as they enter the semifinals following quarterfinal series victories in rare and dramatic fashion. ALBA became the first team to win a EuroCup best-of-three series after losing Game 1 at home when it edged Unicaja 79-75 in Game 3 on Wednesday. 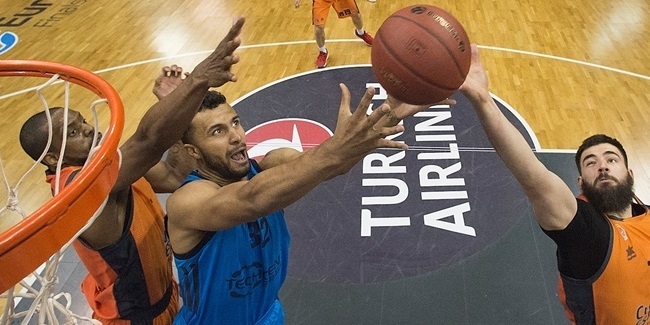 The team from the German capital has now gone past the EuroCup Quarterfinals for the just the second time in 12 seasons; it competed in the 2010 title game and lost against Valencia Basket. On the other hand, this is MoraBanc's second EuroCup season after getting eliminated in the regular season last year. MoraBanc ousted LDLC ASVEL Villeurbanne without home-court advantage last week. With its 80-82 win in the deciding game, MoraBanc became only the second team after Unicaja Malaga to win Game 3 of a EuroCup best-of-three series away from home. It was a huge confidence booster for MoraBanc to get the job done away from home considering it is yet to lose a home game in the EuroCup this season. 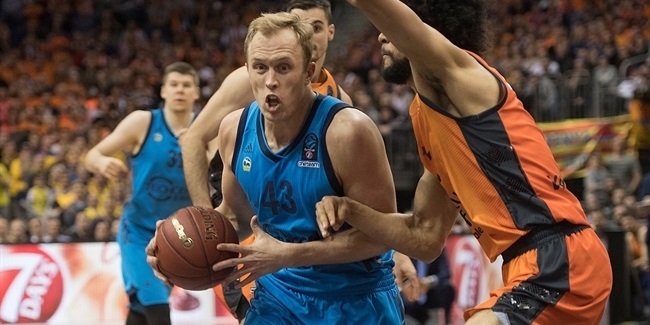 MoraBanc took care of the EuroCup's best defense in the quarterfinals. ASVEL entered the quarterfinals allowing a league-low 71.9 points per game and holding opponents to 48.4% two-point shooting. But that did not stop MoraBanc from scoring at least 75 points in each game and average 85.0 for the series. That was the second-best scoring average in the quarterfinals and the ceiling for MoraBanc's offensive production goes up as it now faces an ALBA defense that has allowed 81.5 points per game for the season. However, after needing to deal with a premier defense in the quarterfinals, MoraBanc now turns to face a historically good ALBA offense in the semifinals. ALBA ranks first among teams that at least reached the Top 16 in assists (22.9 apg. ), points (87.8 ppg.) and average PIR (102.3). ALBA is actually on pace to set a new EuroCup single-season record in assists and has the fifth-best PIR average in competition history. No team ever in the EuroCup has totaled more points in a series than ALBA's 217 points against Unicaja. There could be plenty of offensive fireworks in this one. Backcourt play could be crucial in this series. Andrew Albicy and Dylan Ennis are the motors for MoraBanc as they serve as the top two on the team in points, assists and steals. Albicy scores 11.5 points this season, while leading MoraBanc with 5.6 assists plus 1.9 steals, while Ennis is the top scorer with 12.4 points, and dishes 3.5 assists and averages 1.3 steals. Ennis was all over the place in the quarterfinals, posting 13.0 points, 5.0 rebounds and 4.7 assists; he will play a vital role in his team's efforts in the semis, too. On the other side, ALBA guards Peyton Siva and Martin Hermannsson get everyone around them going. Siva earned Quarterfinals MVP honors after averaging 13.3 points and 8.0 assists in the three-game series against Unicaja, while Hermannsson was not much behind, posting 11.3 points and 7.0 assists. That is 15 assists just between them per game and MoraBanc will have its hand full trying to contain ALBA's two-headed assists-dishing backcourt duo. For the second straight series, ALBA head coach Aito Garcia Reneses is squaring off against a younger fellow Spanish coach. After ousting Unicaja and Luis Casimiro, now the 72-year old Coach Aito faces 42-year old Ibon Navarro, who has been guiding MoraBanc to its best ever season. Aito is a former ULEB Cup winner and also a former EuroCup Coach of the Year. He has led teams in more than 200 games just this century in the EuroCup and the EuroLeague combined and has also triumphed in the 1986 Saporta Cup and won Korac Cup titles in 1987 and 1999, a silver medal at the 2008 Olympic Games and more than a dozen domestic titles. On the other hand, Navarro is in his first very first EuroCup season and also has a pair of EuroLeague season under his belt since 2014 when he got his first head coaching gig. While their coaching experiences could not be more different, they both could have a surprise or two up their sleeves, just like they did in the quarterfinals when they had their players switch to a zone defense. Navarro's MoraBanc frustrated ASVEL with zone defense in Game 1 of their series, something they had not played up to that point in the season. Aito's ALBA switched to zone defense in Game 3 and turned the game around, erasing a 13-point deficit to win the game. It might not be zone defense this time, but feel free to expect the unexpected from the coaches in this series.